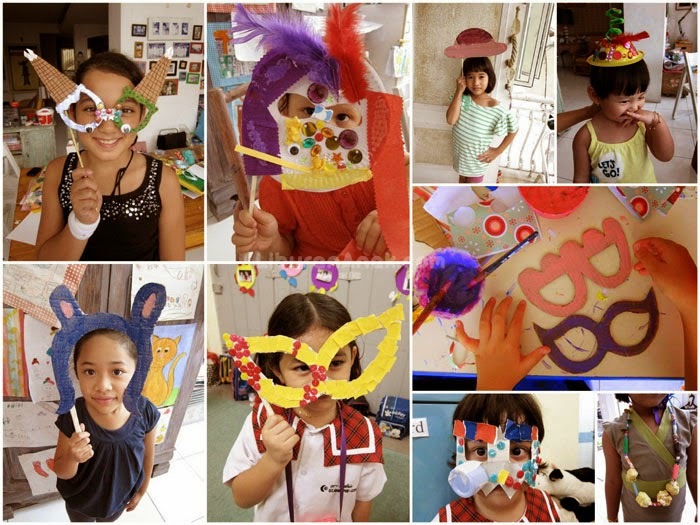 Activity Kutakatik art always encourage children to explore and express by intrepertasi respectively. No rateable here, not some good and no unsightly ... For Kutakatikk Art, all the work of children is pure and genuine. In the first session Kutakatik art classes, children will channel their creative talents with a variety of activities ranging from painting, drawing, stick, make a snack, sewing and occasionally dancing and singing along. The hallmark of Kutakatik art activities are children will be taught to be creative with the property used goods around us that are not in use such as soap boxes, cardboard milk, cereal boxes, bottle caps and other beverages. Kutakatik art activity is very good for children's future growth has been "poisoned" by the expensive gadgets. In addition to opening a class in Pondok Indah area of Jakarta, Kutakatik also often called upon to fill a child's birthday party activities and visits to schools. 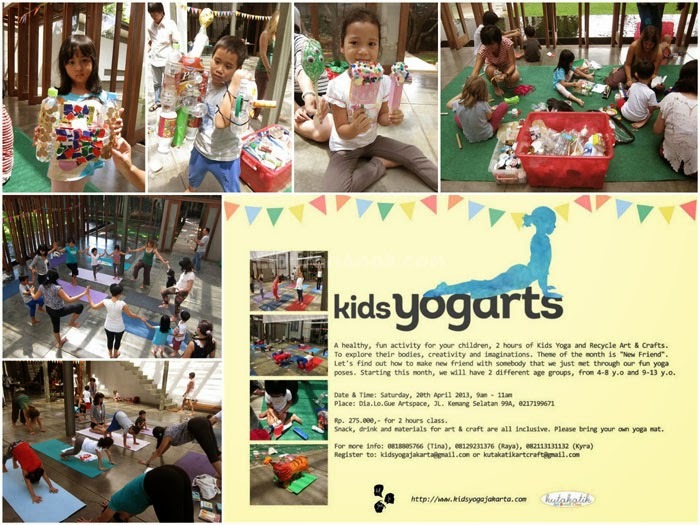 And today Kutakatik also been expanded along Jakarta Kids Yoga with Yoga regularly hold events for children, the combination of both activities even this so-called "Kids yogarts". The concept of "KidsYogArts" This is after the kids finished practicing yoga movements with a specific theme (eg Superhero theme), they will continue the art and craft activities together Kutakatik with the same theme. So in one same day, the children get two activities: healthy sport and fun art activities. Kutakatik Art was founded by two brothers, Kingdom & Kyra Pradiono. Both are graduates of the Graphic Design faculty, hobby with art & craft and very happy to interact with the children. Both then decided to open the Art & Craft classes at their residence. It was held at the house and it was very comfortable, the children also feel at home and make their creative ideas can flow smoothly. Cost per arrival: Rp 100,000 / person or Rp, 300,000 / month for 4 x meeting. 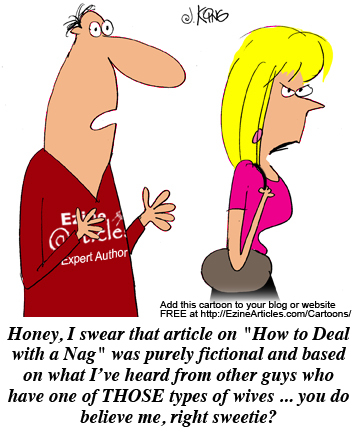 Only accept payment in cash. To be able to attend classes Kutakatik Art & Craft, please make an appointment / booking way in advance by email to kutakatikartcraft@gmail.com or call 021 7050 9109 or 0821 1313 1132.